So what exactly is a dress shirt? Well, to start with it has a collar, buttons, and long sleeves. Depending on how formal you want to get, dress shirts have different sorts of collars and cuffs that range from casual to super formal. Fifty years ago the dress shirt was more of an undergarment. It usually only came in white and was hardly ever seen without a jacket or a coat. As time passed and style trends changed, the dress shirt became more than just an undergarment. It became a stand-alone fashion piece.That is why it is today available in so many colors, patterns. 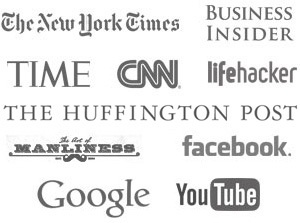 Back in the olden days very few men had what we call “white collar jobs”. Most men had jobs that involved manual labor and getting their hands dirty. Having clean white cuffs on a shirt was a status symbol that meant you were above dirty manual labor. It meant you had a job with status. whether you wear tan slacks with boat shoes or are a suit and tie man, long sleeve shirts are an essential and large part of a wardrobe. 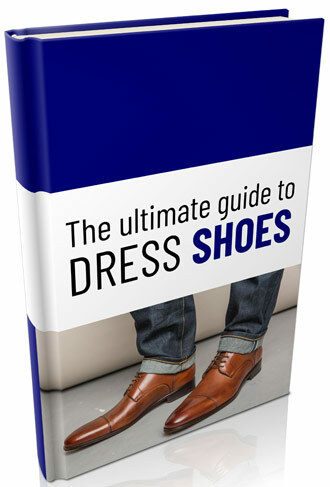 They offer variety and are less expensive than mixing and matching entire suits and expensive leather shoes. Whatever it is worn with, a shirt should fit comfortably snug without restricting movement. At the end of the day, the main purpose of the dress shirt is to protect the inside of a men’s suit jacket from absorbing too much sweat and grease from the body. 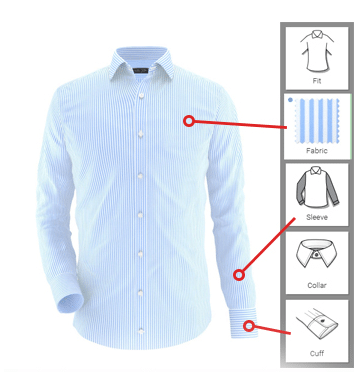 Likewise, men’s white undershirt can be used to keep a dress shirt looking crisper and cleaner for longer by acting as this barrier between the skin and the fabric. The first thing you notice about a dress shirt is its color and pattern, closely followed by its fabric type. 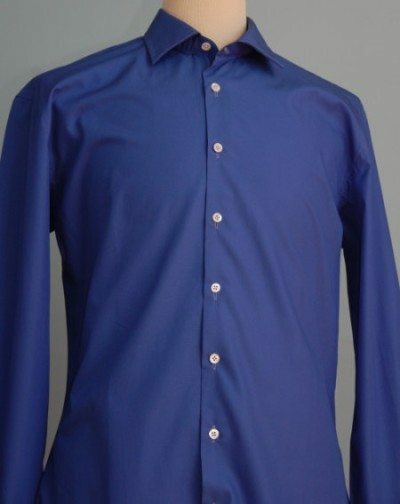 Most men’s shirts are solid white or blue. If you want to get the most out of looking great with a variety of colors, you need to understand how your personal complexion relates to patterns and colors. Matching the right shirt with a classical suit can turn an ordinary outfit into an extraordinary one. needs, and how much money you have. If you have a large budget, pure sea island cotton represents the higher end and more expensive fibers. Pima cotton and man-made fiber blend will appeal to the individual on a more modest budget. For more information on shirt fabrics click here. What does a certain collar type symbolize? A button down collar , left breast pocket, and single-button cuffs signal leisure while a shirt with turned-down point collar, no breast pocket, and french cuffs signals formality. The beauty of a custom shirt is that you can design the shirt’s style not only for the occasion but also to complement your physical features. 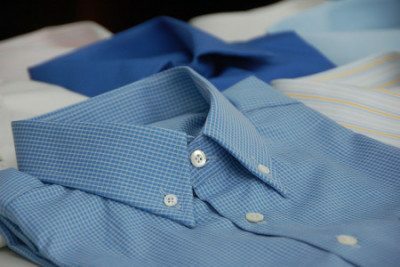 More on shirt styles is covered in A Deeper Understanding of the Dress Shirt. If you are building your dress shirt collection , make it versatile with your other clothing. 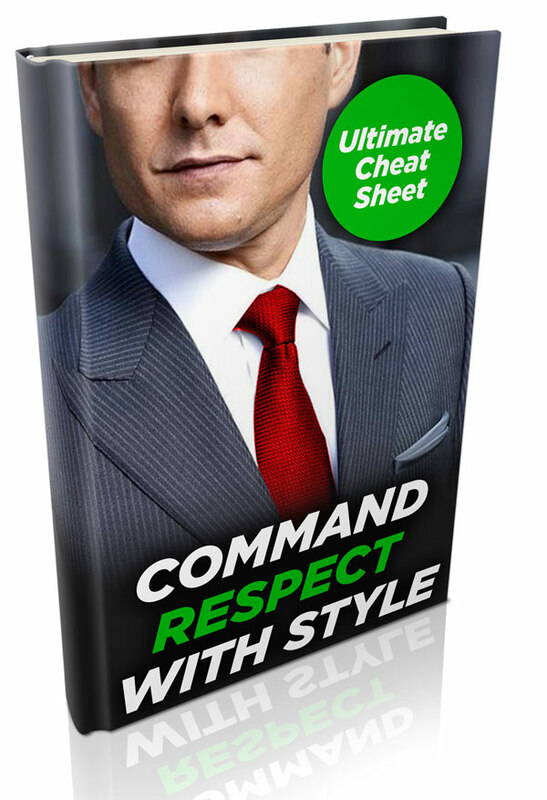 To save money and make it simple, buy shirts that you can wear with any suit you own. Avoid extremes and start slow and easy with safe colors and patterns. As you gain more confidence and style knowledge, you can experiment with a bolder variety of patterns and colors.